14 days to go, and the Aconcagua expedition will begin: packed, well trained and well-fed (well, after yesterday’s luncheon I have reserves for quite a while). 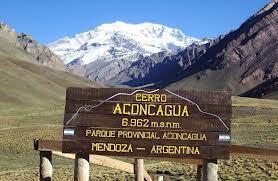 It’s a mix of excitement, continuous check of the gear list and reverence: Aconcagua is a big beast of 6,962mt/22,841ft) and hardly a piece of cake (just to remain on the food theme). I am also (over)loaded with technology to keep track of the progress on the mountain: extra weight to carry, yet a truly multimedia climb (thanks Microsoft for providing the latest WinPhone8 jewel).